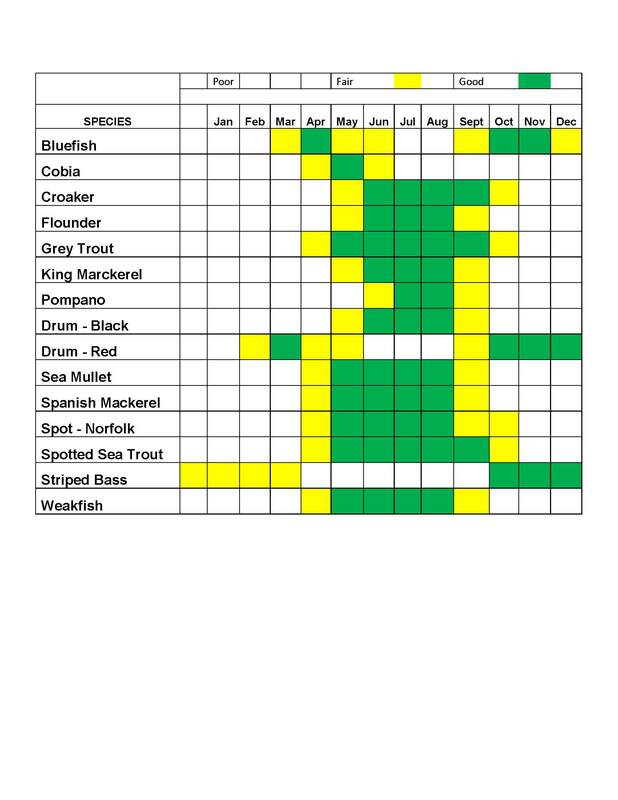 Seasons | Capt Tony's "Walkingangler.com"
The “Seasons Chart” is based on my personal experience at catching these species. Weather including water temperatures and species status may change these periods. Your best bet is to check with your local tackle shop for specific catch periods.